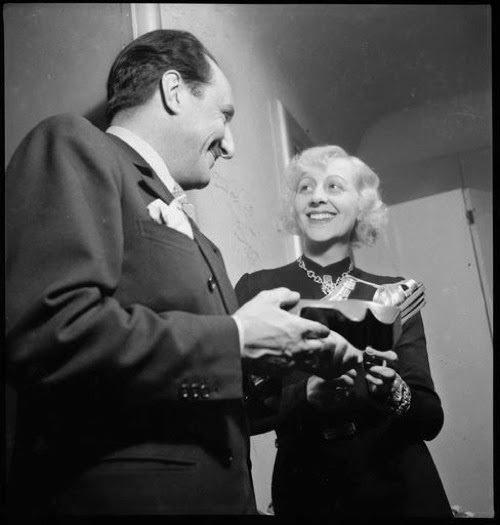 In Paris in the thirties there was a great Italian shoemaker I was mad about — Perugia. His wife was a blonde so ravishing — she made Mistinguett kind of musty, if you know what I mean. 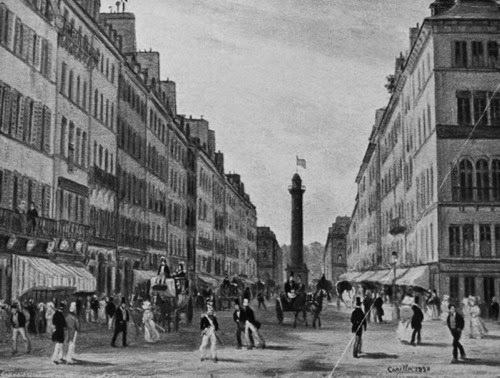 She was behind a cash register on the Rue de la Paix: “Bonjour, madame” — you know the type. She was in there so he could keep an eye on her. 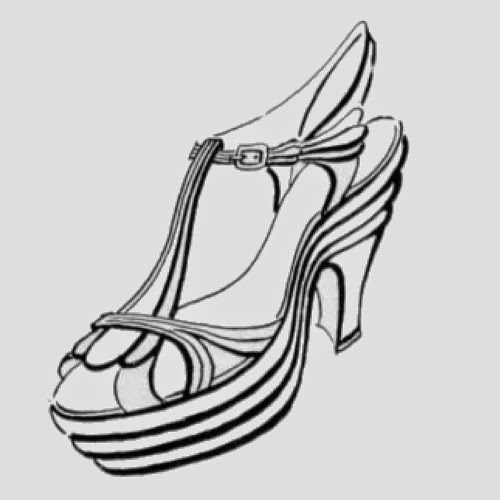 He made me low-heeled shoes — the kind I still wear — when everyone else was in high heels. Former stylist and silent movie star, Lucienne Legrand was André Perugia's second wife even though the marriage was later annulled (It's a very long story and not a pleasant one for the celebrated bottier). Anyway, the shoe in her hand is a PADOVA model designed by Perugia in 1938 better shown here below from the advertisement taken from L'Officiel de la Mode. 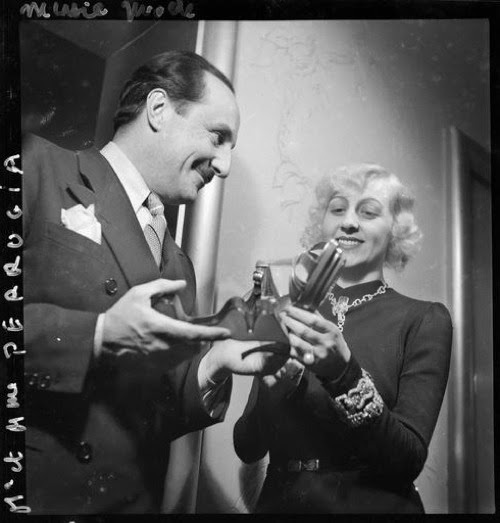 The sole's sandal in Perugia's hand belong to the 1938 Padova collection he designed for Elsa Schiaparelli (see ad below: the shoe at the bottom). 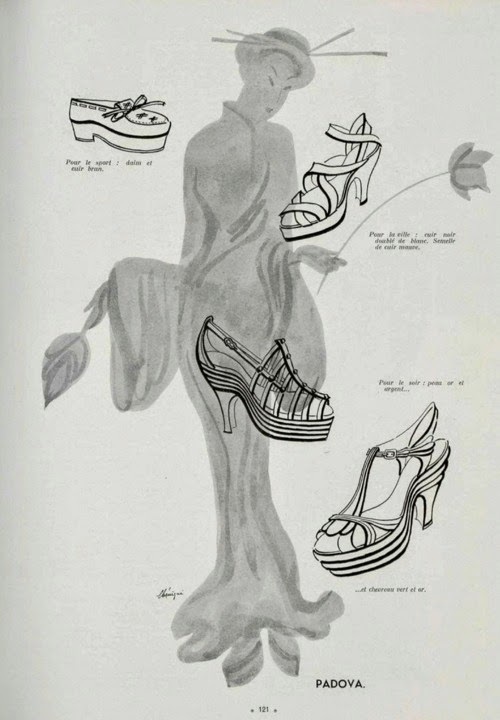 1938 - A selection of shoes designed by Andre Perugia of Padova for Schiaparelli. From top: striped kid straps with a cork platform heel, a satin high heeled sandal lined with kid, a kinked sole sandal, a high and mighty sole, an elevated suede moccasin and a kinked sole sandal with removable lacings. Bicolor Richelieu in black felt with red inserts in kidskin. Black heel and double platform, lacquered in black and red. 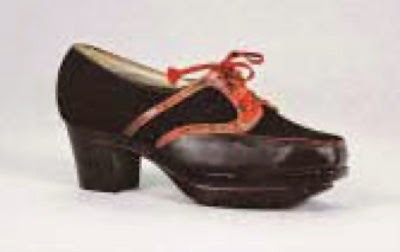 Shoe sold at a Drouot auction in 2006.